Quick summary: Students will revise and consolidate their knowledge of the environmental impacts of coal-fired power stations and other ‘dirty’ energy production methods in comparison to the clean energy alternatives. 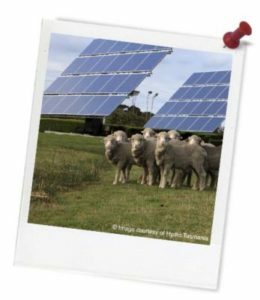 They will plan an Environmental Impact Study related to a hypothetical clean energy installation in Tasmania. Students develop knowledge about clean and dirty energy generating infrastructure that impact the environment. Students design research methodologies to gather data on key investigative questions. Formulate questions or hypotheses that can be investigated scientifically (ACSIS164). Plan, select and use appropriate investigation methods, including field work and laboratory experimentation, to collect reliable data; assess risk and address ethical issues associated with these methods (ACSIS165). Formulate questions or hypotheses that can be investigated scientifically (ACSIS198). Plan, select and use appropriate investigation methods, including field work and laboratory experimentation, to collect reliable data; assess risk and address ethical issues associated with these methods (ACSIS199). Syllabus Outcomes: SC5-4WS, SC5-5WS, SC5-6WS. Resources required: Internet access, Environmental Impact Study – Project Investigation Worksheet, Student Worksheet (one copy per student OR computers/tablets to access the online worksheet), images of Tasmania (from books, magazines or online – use Google Images). 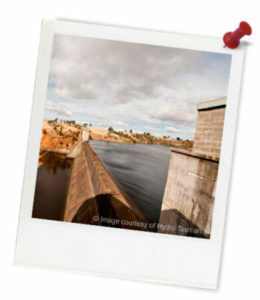 Keywords: Coal, clean energy, electricity, Hydro Tasmania. Overarching learning goal: By participating in this activity students will develop knowledge about clean and dirty energy generating infrastructure that impact the environment. They will synthesise facts and draw conclusions that are consistent with evidence and design research methodologies to gather data on key investigative questions. Thought starter: Is nuclear power a clean or dirty source of energy? 1. List three ‘dirty’ sources of energy production used in Australia. 2. Now can you list three ‘clean’ energy sources used in Australia? 3. What are the advantages and disadvantages of burning fossil fuels like coal and gas to create energy? Write one advantage and disadvantage related to each of the suggested aspects of the energy producing operation.